When in Dubai one of my bucket list is to try out at least one 5-star restaurant. Due to lack of time and convenience, I choose to have dinner at Al Mahara Restaurant, which is at the hotel where I'm staying. You don't have to be a guest at Burj Al Arab to dine at Al Mahara Restaurant. As long as you have made your reservation earlier, the security clearance will be smooth. 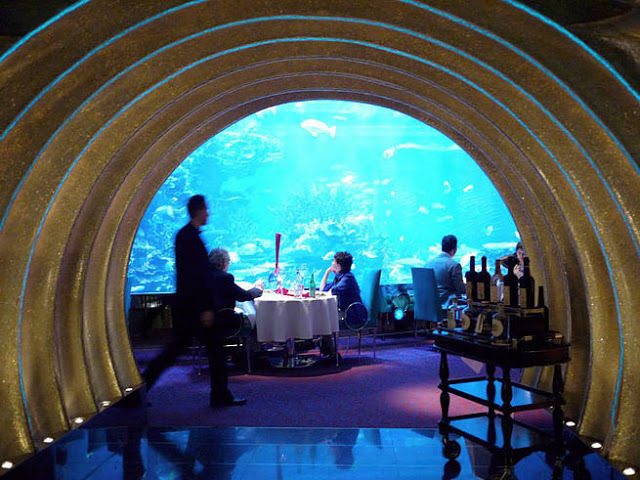 Al Mahara Restaurant is Burj Al Arab's flagship restaurant. 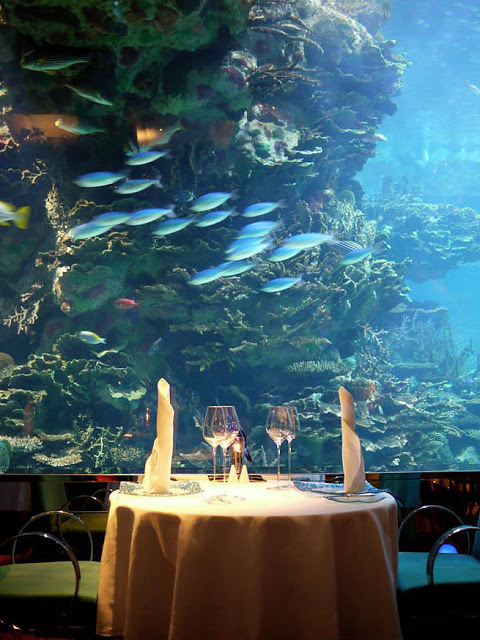 It is voted as one of the Top 10 most expensive restaurant in the world by Time Out. Upon my arrival, I was greeted by the host and transported underground. At the entrance of the restaurant, another host will remind the guests of the etiquette and rules for dining at Al Mahara. There is a strict dress code at Al Mahara. All guests are expected to wear formal dress or entry is strictly prohibited. 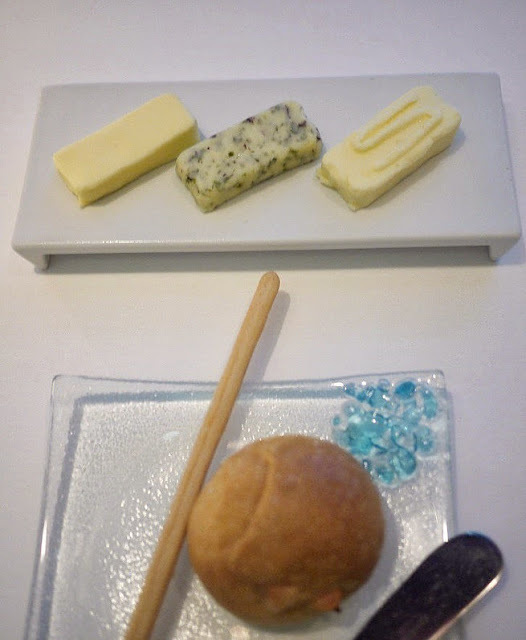 My dinner started with the usual bread and breadstick served with three types of butter - plain, herb and salted.The entree was mushroom pastry served with buttery broth. 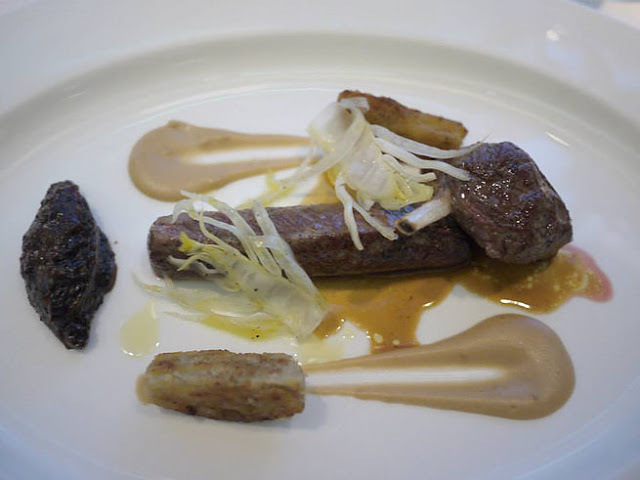 For the mains, I had the wagyu beef braised and seared with foie gras cromesquis, glazed carrot, bone marrow, cherry black pepper sauce. Mashed chickpeas and spiced sauces are served as side dishes to go along with the wagyu beef. The sauces went really well with the mains. 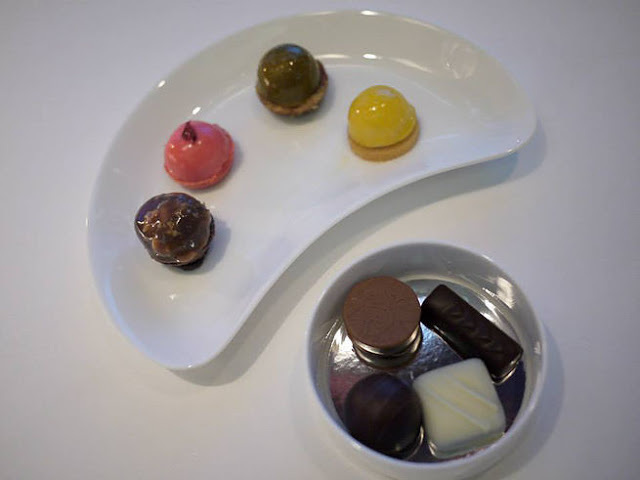 For a sweet ending, all tables are served with petit four. I had the glaze strawberry chocolate and praline. It was too sweet for my liking. The experience dining at Al Mahara costed me AED900+. I wouldn't rate this as the best restaurant I've ever been. 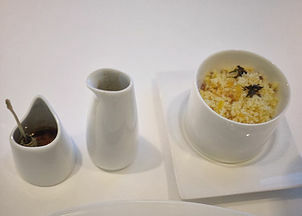 Mainly because the dishes were mediocre for a fine dining. But the experience is one of a kind. Surely if given a chance, I would return to try their seafood, which their specialty. Al Mahara is currently renamed as Outlaw's at Al Mahara, under the culinary patronage of multi award-winning English chef, Nathan Outlaw, Al Mahara will be focusing on serving the best seafood in the world.